Any woman may join who has a strong interest in volunteerism and is at least 21 years of age. To learn more about our community service projects, please visit our community service projects page. We welcome you to attend our monthly meetings and other events to familiarize yourself with our organization and members. Our meetings are held the first Tuesday of the month The Caswell House. Social time starts at 5:45pm with the business meeting following at 6:30pm. We would love to answer any questions you have concerning membership in AJF. Please feel free to contact us. If you are ready to commit for the coming membership year, you may pay your New Member Initiation Fee online. Full membership dues are requested of new members by April 15. You can pay the full dues here. April 15--Full membership dues deadline. June 1--Official New Member Year Begins! **Note: You are also welcome to attend any General Meeting during the spring. 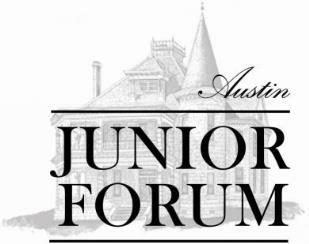 AJF meets on the first Tuesday of each month at the Caswell House. Social hour begins at 5:45pm and the meeting begins at 6:30pm.